Presenting part one of our special new Red Dead Redemption Gameplay Video Series: “Introduction” – an in-depth 4-minute first look at the gameplay of Red Dead Redemption. Discover an unprecedented, detailed unveiling of the world, culture, characters and story – as well as unique gameplay features including the first-ever footage of Red Dead Redemption’s advanced “Dead-Eye” targeting system. Originally published in 1987 by Compile Golvellius: Valley of Doom was the Sega Master System’s answer to The Legend of Zelda for being one of the best adventure games of the console. Back then, it was recognized for its magnificent graphics and its deep story. 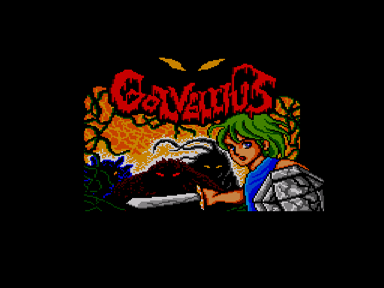 Most anticipated retro game of this summer; Golvellius on iPhone benefits from a great attention on the control schemes, the ability to play it on full screen and a smart saving functionality. LSL is a 2-D arena shooter featuring a robot that falls in love with several lovely female robots each with her own unique abilities and atmosphere.